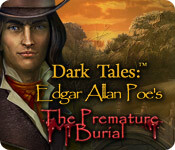 Dark Tales: Edgar Allan Poe's The Premature Burial is rated 4.4 out of 5 by 155. Rated 5 out of 5 by sadielane from Love this game Really an interesting game. Liked the graphics, storyline etc. Rated 5 out of 5 by Tikatoy from Kept me up past bedtime I started playing this game last night intending to stop halfway and go to bed, but there was always one more task to do, one more puzzle to solve, one more HOG... and I ended up finishing the whole game. This is a testament to how well the game is structured (a trait of all ERS games); you always have something to do (use inventory item, solve a puzzle or hidden object scene) that doesn't require much backtracking and you open up locations at a good pace. The music is good, and I liked the art (although it was a little washed out), however it's very much like the music and art in previous games by ERS. I really enjoyed the puzzles. There was a good variety of them and they were more difficult than average for a HOG. I took some time to some of them, but I was never stumped or frustrated. 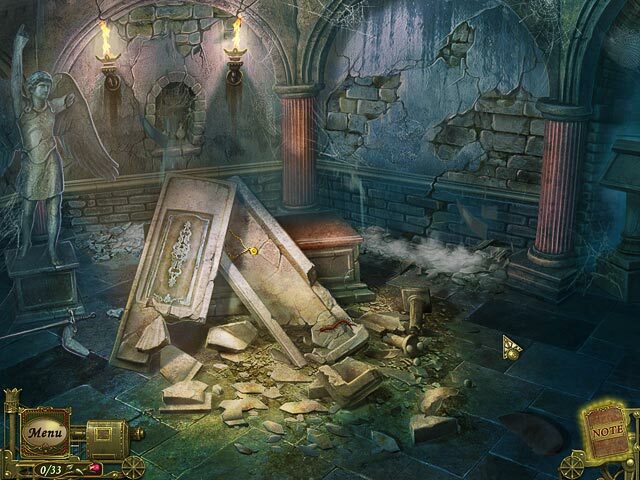 Rated 5 out of 5 by Deejaycee522 from Great Hidden Object Game Nice storyline, scenery and music. Very challenging - requires a lot of thinking. There are many areas to explore, codes to crack and lots of mini-games. It's a very long game and keeps you busy trying to solve the crimes. The HO's are mixed with one and two-step selections. This is a very nice, well thought out game. The graphics are very good. The ending is very good. Enjoyed this game a lot. Rated 5 out of 5 by bigfishsusan53 from Dark Tales: Edgar Allan Poe's The Premature Burial i like the game very much and its my favorite too. Rated 5 out of 5 by Bloodmaiden from fun fun fun. I enjoy all of the Poe series, and I really like the music for some reason, it's one of the things that keeps me playing. It's a good game. and I enjoy the mystery! Rated 5 out of 5 by centauri272 from Great game! Good storyline. Very good graphics. I played without sound so I can't rate this. The HOS are clear. The puzzles are not too difficult. There is a lot of walking back and forth and no map but there are not that many locations that you would get lost. You also have to find 33 roses. The game has a good length and is never boring. All in all, I had a good time playing it! Rated 5 out of 5 by Brook1283 from Great Game!! I can honestly say that this was indeed like a mystery for me at first. I figured out who the ghost was waaaay before I even made it to the town. I'm not gonna spoil it but overall it was a very great game. You may get frustrated though like I did. But after I turned the game off at night and sat in my bed, I used to think about the game, kinda like you would when you take breaks from reading a novel. I used to sit and think.. "where haven't I checked yet?" Rated 5 out of 5 by OnlineGurl from Outstanding Game! This game has all the bells and whistles of a true adventure HO! Voice overs are excellent. Sounds are great. The game was fun from beginning to end. This is a keeper. I would recommend this game. Can't wait for the next Dark Tales to come out !!! Rated 5 out of 5 by wiccan73stars from A Must have game that leaves you wanting more! The end of this current trilogy was by far the best of them all! Wonderful graphics and amazing story. Best of all, this is the first one with VOs and they were very complimentary to the story. I was so into the story I would forget about the real world! It has just the right amount of HOS and the puzzles were nicely ranged from easy to med-hard. The cut scenes are something I usually don't watch, but these were definately worth it. Rated 5 out of 5 by CaptSlappy from Very fun game! I really enjoyed this game! It has a very intriguing story with great graphics! It was challenging but not over challenging! It really gave my mind a workout! It wasn't too terribly long (4-5 hours) but the story really pulled you in and the challenge of the game made it well worth it! I definitely recommend the game!! Rated 5 out of 5 by Denverfan46 from Loved this game I really enjoyed this game. Good graphics and sound. Rated 5 out of 5 by Rohangirl from Loved it. What a great game, puzzles were challenging but not too hard, the HOS were part puzzle as well, with actions to be taken to obtain an object. The length was good, story solid and the music fantastic. Rated 5 out of 5 by Melvin2 from Definitely one of the better HO games! Being based on EA Poe makes for a great storyline, so this is a VERY compelling and satisfying game in that regard.. The HO scenes were pretty forthright for finding stuff, but I liked the items that required an extra step. Not quite as simple as most so, even though you might be able to pick up an item, it required a little thought as to how to use it. There wasn't a LOT of running back and forth, but I did miss a HO scene and had to use the walkthru to figure out where the wrench was that I needed right at the end. The SE was relatively short, but it was a good enough game that I was anxious to get through each step just to go on to the next. Will definitely recommend! Rated 5 out of 5 by SassyShark from Long and Thorough This series is truly ERS at the top of their game. I’ve played all of the games in the “Dark Tales: Edgar Allen Poe” series and they have been fantastic. For a Standard Edition, this game is long and thorough. Everything feels complete and thoughtful. The graphics are good and there are a lot of locations to visit. Just when I thought the game was ending it kept going. You truly get more for your money with this series. If you’ve played the others, then you don’t want to miss this one. Some people don’t like the odd animated characters, but I think it’s rather humorous along with the voice acting which is fine. The characters in their games are always entertaining. I was able to do the majority of the game without the walkthrough, but I did have to check a couple of times. 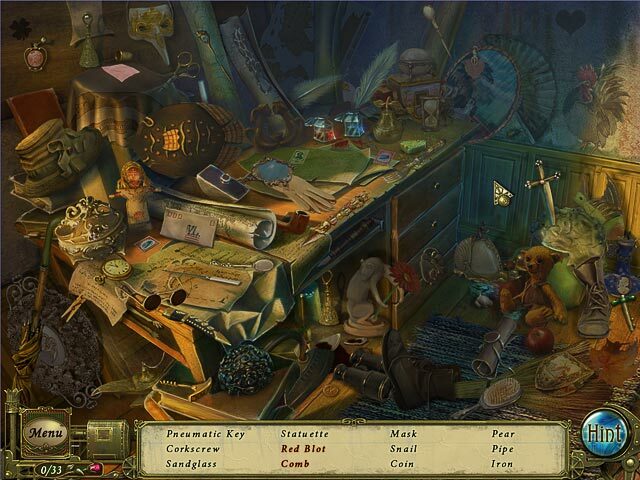 I did use hints for the hidden object scenes. I’m looking forward to the next in the series. I just wish that all of the ERS games were this rigorous. Rated 5 out of 5 by angie0310 from It's a great HOG It must be one of my favorite games now. It is quite a long enjoyment for a SE, and the storyline is fantastic. I love the puzzles which are challenge enough, I had to check with the walkthrough sometimes. I would say the balance of puzzles and HOS is perfect, the objects are clear but not so easy. I played it with the expert mode which means there was no any sparkle or shining even for the HOS, so there were 2-3 times I was wandering around frustrated, looking for a tool somewhere I have no idea. Rated 5 out of 5 by ptrujillo from Great Game! I really - visually - enjoy ERS games. They are visually beautiful to look at. One feels like they are in an old, very artist painting and the game play and challenges are just right. Challenging enough to say that the people who create these games are great thinkers and keep us gamers on our toes. The story line was very good and easy to follow and the music fit the ambience...old world European. The HOG are very good with the flair they use for drawing. Again one feels like they are in an old world painting and not a computer generated game. The length of this game definitely makes this game worth buying along with all the above things I mentioned. Rated 5 out of 5 by Rebr2009 from Another Outstanding Allan Poe The third is so good and challenging as the other two. It does not happen in all serial games. You feel inside the very good story, plenty of puzzles, with awesome and crisp graphics, nice sound, great atmosphere and amazing characters. I love the irony and charming of comments in certain scenes ! Rated 5 out of 5 by samsontinker from Fun fun, fast paced, and long running. Rated 5 out of 5 by mspaws from Brillant! Must have this game to go with the series! very well done, even though I am not a fan of wearing out shoes going place to place! Rated 5 out of 5 by teddy4t from Classic Love Story Aww, this is so lovely. A classic tale of good and evil, and of course you are on the good side with Detective Dupin. He even includes you in his conversation by turning towards you. The graphics are great. Quite a long game, and I must admit I had to view the blog a couple of times. Not too much jumping here there and every where, the story flows very well. Rated 5 out of 5 by mandabee from Great game well worth purchasing Loved this one. Great story and challenges. My only grumble was delay loading time between certain scenes or games but hardly anything major to grumble about! 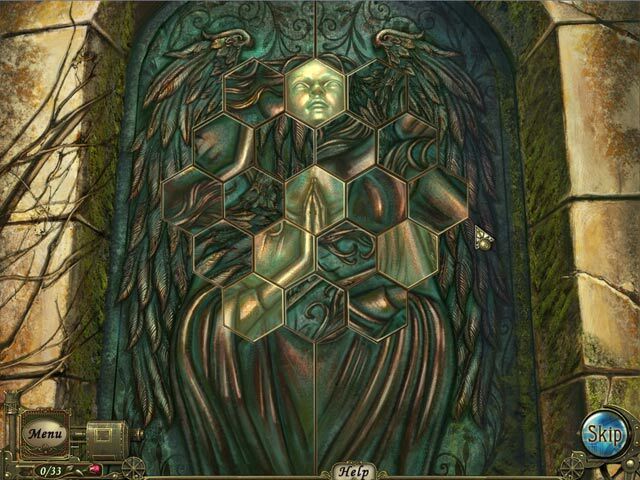 the hidden objects are not too dificult but that makes the game play flow well and the adventure aspect makes a lot more sense than other IHOG games I have played. I loved the others in this series and this one did not disappoint (unlike the new ravenhearst). Rated 5 out of 5 by tmhall55 from another winner!!!!!!!!!!! loved this game. played the one before this and it too was great. i did notice the voice change and appearance of the guy. i like the older one better but still a great game. a must play!!!!!!!! !